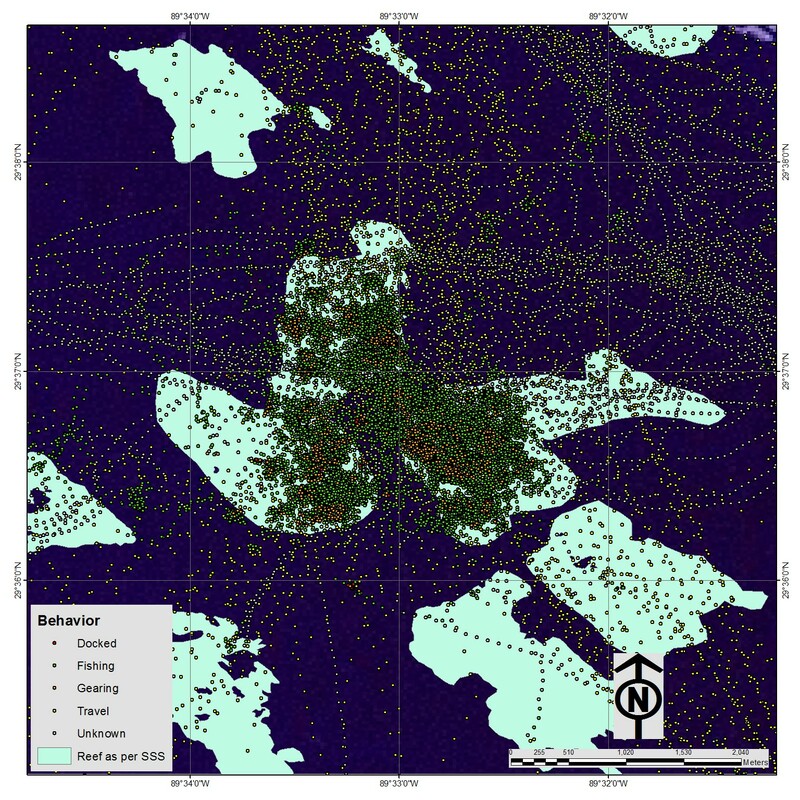 Satellite Vessel Monitoring System (VMS) data of position, time at a position, and course and speed are used to determine oyster boat behavior (e.g., travel, fishing, docked). Information derived from VMS, such as catch per unit effort, is used to better manage the fishery. A GIS representation of the distribution of private oyster leases, public grounds, and public reefs is maintained. This is the base map upon which vessel behavior is overlaid. An overlay of fishing effort on the base map indicates the areas of greatest fishing effort.